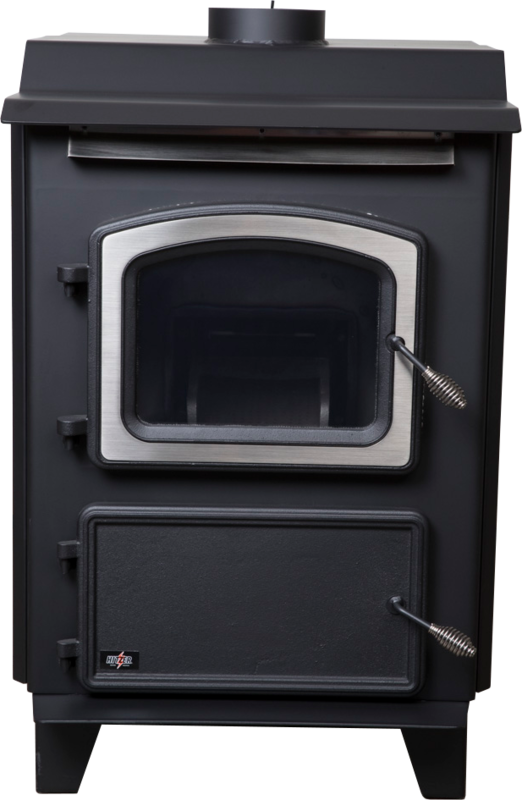 The Hitzer Energy Master I Stoker is one of the most efficient and technologically advanced stoves on the market today. With intuitive design and new technology the Hitzer 608 Stoker is a customer’s top choice stove. As a HPBA Vesta Award Finalist the 608 Stoker has the credibility, intuition, and capabilities to go far beyond your expectations and needs. 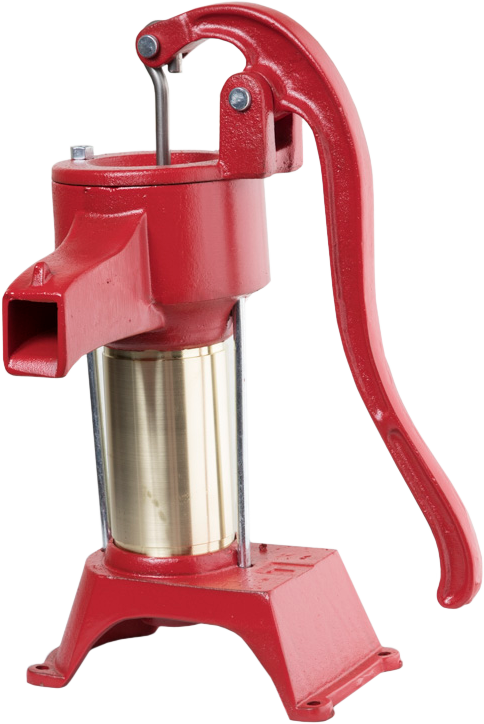 You will be amazed by the overall capabilities of such an efficient easy to operate stove. 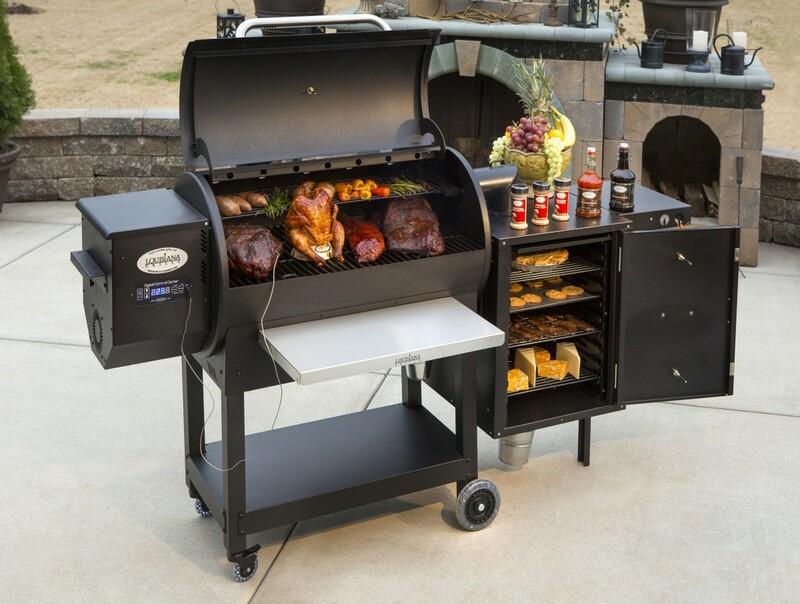 By the astounding Coal-trol design system it has incredible functions that allow you with complete control of your fire. 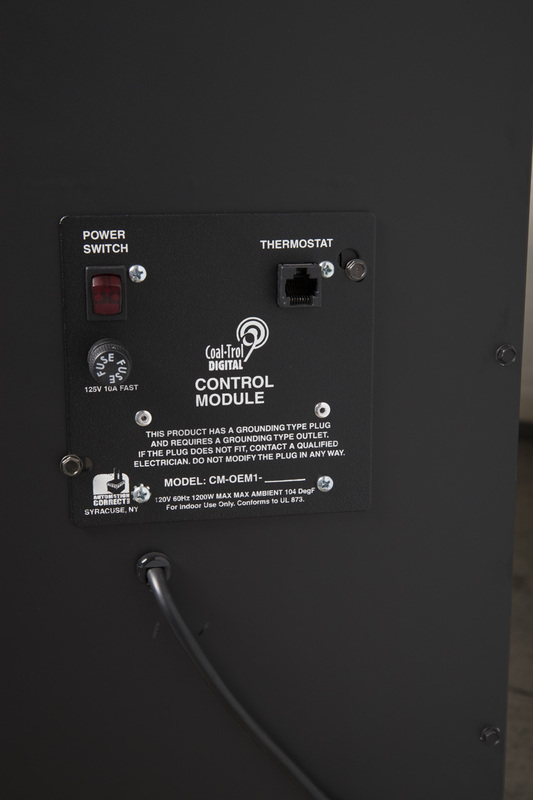 Having a digital thermostat this enables push button control of your stove that requires no labor involved. With the technology of the Coal-trol combined with the intuition of the Stoker, the stove will maintain the exact temperature your Coal-trol is set at. 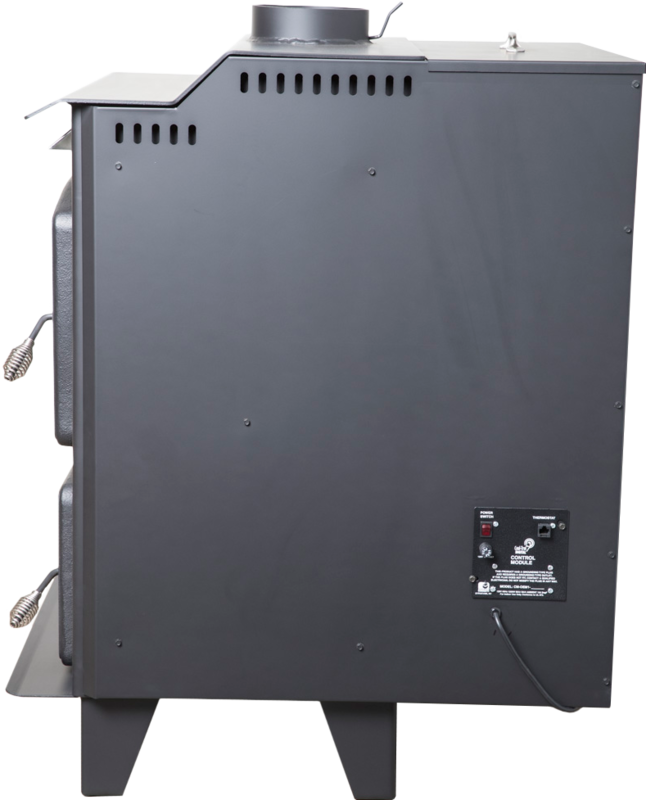 The 608 Energy Master I Stoker has the unbelievable capability of producing as little as 7,000 btu’s or up to 90,000 btu’s of consistently warm heat. By having a 320 CFM blower you will be sure to feel the warmth of such an incredible stove throughout your home. There are so many feature that this astonishing stoker provides. 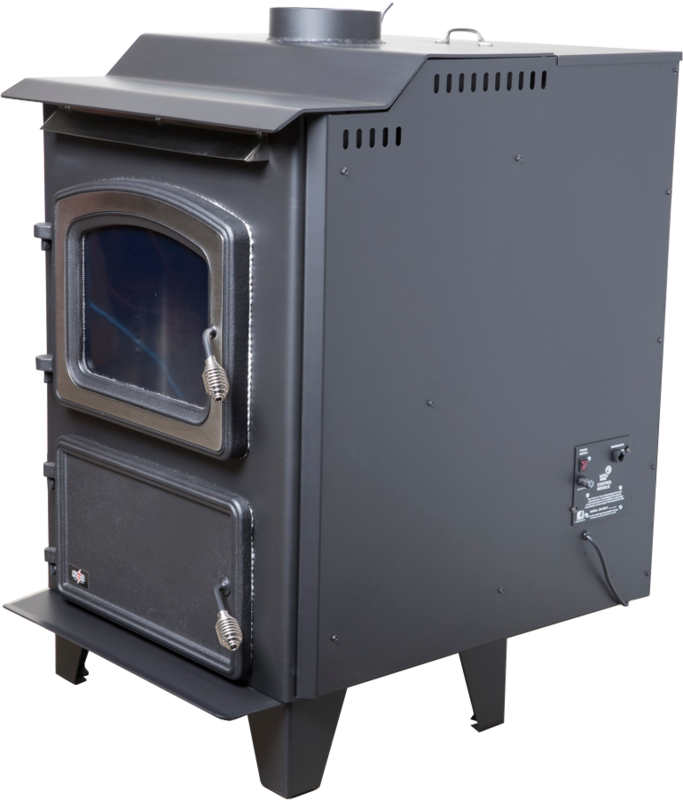 One of the most convenient and popular features available for this stove is the ability to be operated with a power vent, which means by having the 608 stoker compatible with the power vent system it doesn’t require a chimney. 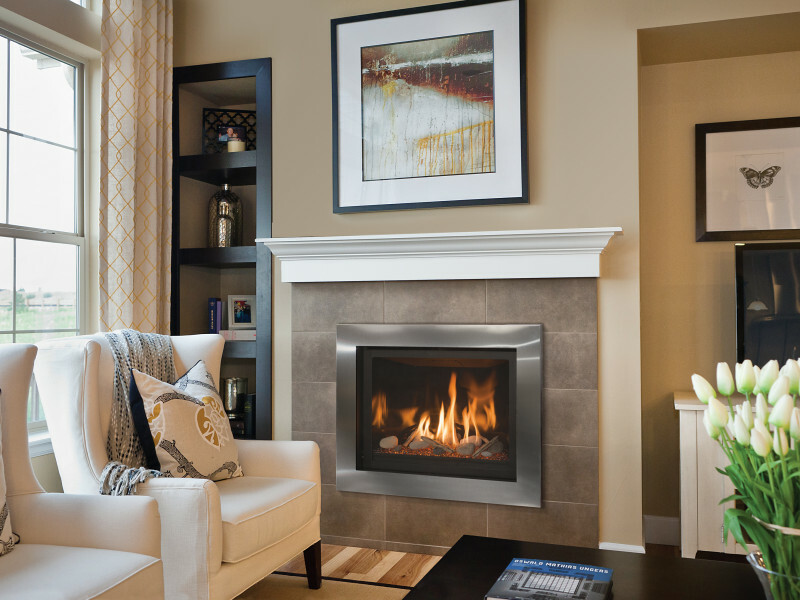 Other added features of the 608 Energy Master I Stoker include a large fire view window to enjoy the warming glow of your fire. The 608 stoker also includes a 90 pound hopper and large ash tray, which allows long extended burn times before disposal. Be utterly amazed with the easy operating technology and efficiency found in the Hitzer 608 Energy Master I Stoker. This stove is sure to make warm and happy friends. Check out our video about how to start this stove here. Up to 2500 sq. ft.
Can I use a small amount of coal if I just want a small fire? The important factor is the whole grate area must be covered in order for the Anthracite Coal to burn properly. Also a deep bed of coal burns better than a shallow bed. This doesn’t mean the whole bed of coal will ignite, because coal burns from the bottom up. Therefore, it will only burn the bottom layers even if there is a deep bed of coal. Your coal will not burn if the whole grate area is not covered because the air flow will go around the coal instead of through the coal. Does Anthracite Coal give off more heat in comparison to wood? Yes, there is more heat produced by burning Anthracite Coal compared to burning wood. This is because there are more BTU’s in Anthracite Coal. How do I start Anthracite Coal? Anthracite Coal starts differently compared to other fuel sources. There are three important factors that must occur to start Anthracite Coal successfully. 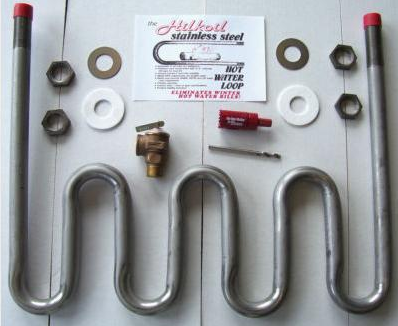 The three factors are air flow, heat source, and fuel. First, there must be air flow and the air must come from the bottom and flow up through the coal. The next necessity is that there must be an already hot source of heat such as a kindling fire or hot charcoal. The last necessity is that there has to be enough Anthracite Coal to burn properly. This system of events occurs over a period of time and must be performed in stages. The first stage is to clear all of the ash to allow correct air flow. The next stage is to create a hot kindling or charcoal fire. And finally, the last stage is to cover the whole grate area one layer at a time with coal, allowing each layer to start burning before applying the next layer. How many BTU’s are in Anthracite Coal? There are around 13,500 BTU per pound of Anthracite Coal. Is Anthracite Coal the same as Bituminous Coal? Anthracite coal and Bituminous coal are very different. Anthracite Coal is a premium type of coal. It is very hard and compact. It is considered the highest quality of coal. It has the least amount of impurities, giving it the name “Clean Coal.” Anthracite coal has no soot residue and produces no smoke when consumed. Bituminous Coal is a “soft coal” that contains tar-like particles within the coal. It is dirty to touch as well as burn. Because of these tar-like particles called “bitumen” it leaves soot like residue. It also produces dark smoke full of impurities and bitumen when consumed. Is there any creosote in Anthracite Coal? No, there is no creosote in Anthracite Coal. Anthracite coal and wood are very different fuel sources. There is no soot or smoke when burning Anthracite coal. Anthracite Coal is a premium hard clean-burning coal mined out of Pennsylvania. It is one of the most economical fuel and heat sources in the world today. Anthracite coal produces the lowest cost per BTU and more consistent even heat, compared to other fuel sources such as wood pellets, fuel oil, natural gas, electricity, and wood. Anthracite coal burns very warm and clean producing no dirty soot or particle build up. It leaves no residue and produces no smoke. To locate a Hitzer dealer, enter your zip code.